The Company's Core Values are principles and standards that we build the rest of our business around. These Values are the same for all associates, regardless of their position in the Company, and they are our guides in making decisions. 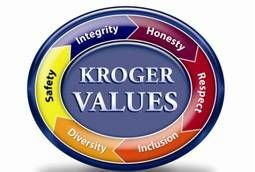 The Company is committed to being honest and fair, and doing what's right for our associates and customers. Associates at all levels are expected to uphold this standard with the Company, other associates and our customers. We are accountable to our customers, and to each other, to conduct ourselves every day according to our Core Values. Every associate deserves to be treated with respect, and to treat others in the same manner. The Company is committed to creating a work environment based on mutual respect and dignity. We want our associates to reflect the diversity of the communities we proudly serve. The Company is committed to fostering an environment where diversity is appreciated as a source of strength and vitality. The Company strives to ensure that associates are secure and safe in their workplace, and that customers shop in a safe environment. Our associates are expected to take all safety measures seriously. The Company is committed to creating an inclusive business culture that welcomes the strengths of all associates and supports everyone's involvement. "We will have a business culture where associates are engaged in their real work...which is to put each and every customer first...in ways we have not yet imagined. All associates will have supervisors who help them do this. Associates of every rank will work together in a fair and inclusive way. Every associate will see the direct effect of their efforts of putting the Customer 1st in our business results."